ZenUnwired: Can You Name These Apple Devices? Can You Name These Apple Devices? 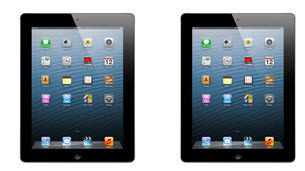 Ok, now can you identify the 'new iPad' among the iPads displayed below? Maybe you can identify some of these devices, and maybe you cant. The point is - "The Revolution" is over; Apple's devices are now just "evolutionary". And 'one more thing' - aren't you bored using the same UI since the past five years?